Playing at a top European club is every footballer's dream. And that dream even envisions in a far distant land like India. A select few individuals like Gurpreet Singh Sandhu and Subrata Paul got the privilege to ply their trade in the top division clubs of Europe, whereas others had to be content with having unsuccessful trials. And then there are those who bagged a training stint. 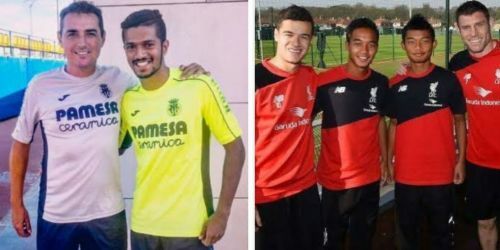 They socialized with the youth academy and the reserve teams of the foreign clubs and made full use of the knowledge gained in the coming seasons. Without any further ado, here are five Indian footballers who had training stints abroad. Shubham Sarangi was a part of the AIFF setup and was supposed to take part in the 2017 FIFA U-17 World Cup. However, coach Luis Norton de Matos snubbed him in the last moment and he lost the opportunity to play in the biennial extravaganza. However, ISL side Delhi Dynamos took note of his talent and signed him in the winter transfer window of 2018. 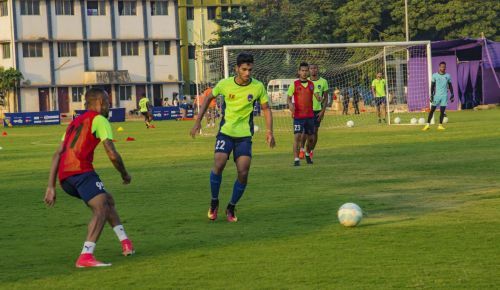 Rather than letting him start in the ISL, he was sent to their technical partners - the Aspire Academy in Qatar for a four-month training stint. The state of the art facility is even utilised by the youth teams of prominent European clubs like Bayern Munich and Real Madrid. This season, he clocked up a total of 353 minutes for the Lions and notched up 17 successful tackles, despite being a forward. Sadly, he doesn't have a goal to show for his efforts.